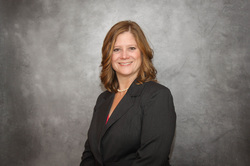 Jaimee Gerrie, has been a Registered Nurse for over two decades. She understands the challenges nurses face as they dedicate their lives to the caring of others. Serving throughout her career, from the bedside to the boardroom, as well as, in nursing education, Jaimee has had the opportunity to witness the misperception of what nurses are, and what they do. She has also been witness to many nurses who choose to practice outside of their scopes and standards of nursing practice, because they are victim to their environment, and their co-dependent status in an organization. This book is written from a desire to say no more! Nurses are not just care givers, they are not co-dependent, and they are not victims, they are leaders and they must accept the responsibility to claim their professional place as both independent and collaborative members of the health care team. Nurses are independent and collaborative partners in health care. Historically, however, the image of nursing has been entrenched in co-dependence and a perceived victimization within the nursing profession. It is time for nurses of all levels to join together to change this image and accept the responsibility to demonstrate not just their role but also a collaborative vision as leaders in health care. 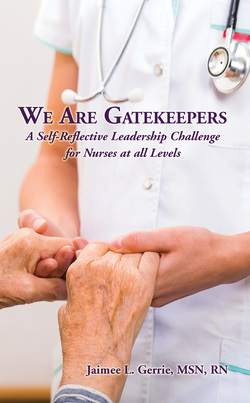 The author, using personal real-life stories, will take you on a self-reflective journey of your own personal leadership development as a nurse. Through this reflective process, you will also, begin to understand, your connection to the greater profession, and your responsibility to those we serve. As nurses we must not fail to waiver on our standards of practice and our code of ethics, and we must strive to educate others in regard to our purpose and everlasting dedication to maintaining our standards of care.